Missisquoi Genealogy: Transcribing projects of our Rootsweb Group- get involved. Transcribing projects of our Rootsweb Group- get involved. This group has always actively worked on transcribing records to help further genealogical research in the Missisquoi area ! 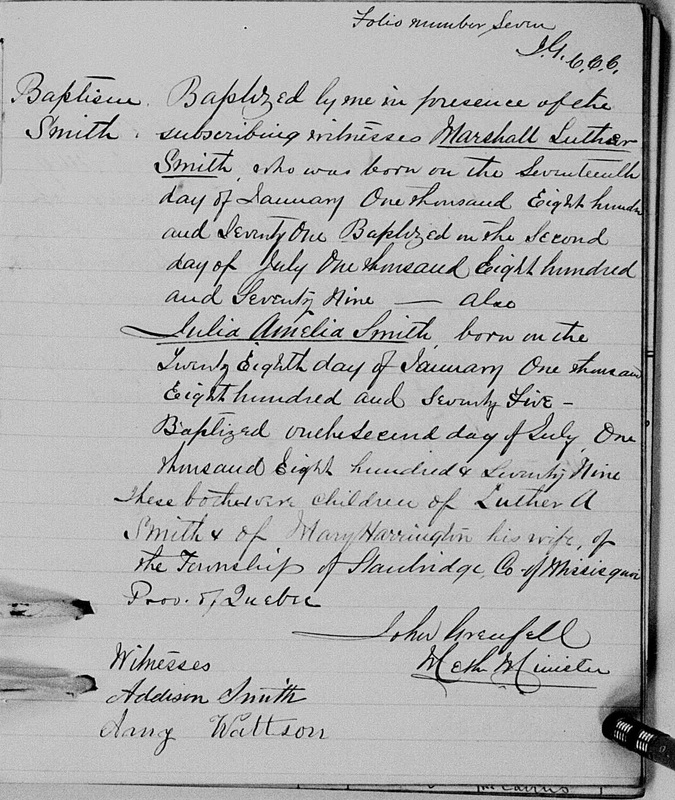 In the past we have transcribe Canadian census years and microfilmed Notary records , we have recently been working on scanned parish records at Family Search from churches in our area. Note * we might not be working on this project whenever you read this post but a list and link to our projects will always be in a box to the right ! This is one of our current projects of our Missisquoi Rootsweb group. We believe in giving back to those that helped us and making it easier for others researching in the area. If you'd like to volunteer to transcribe please take one of the 25 image batches from Saint Armand Methodist 1837-1870 records you see below. We use a snazzy volunteer sign up site called Sign up Genius ! Instructions : Just put your image number into top right box and it will bring you to the 1st image # in your batch. If you can’t read a name or word just make a note and put an *around the word and we’ll figure it out later ! These will be posted for all to see on our Missisquoi Genealogy Research Blog and later the facts will be extracted into Excel database.